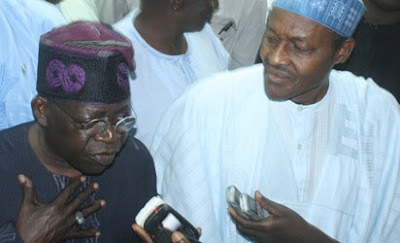 APC leader, Ashiwaju Bola Tinubu this afternoon cried out that the ruling party is planning to eliminate him. In an official PR he released few hours ago, Tinubu alleged that PDP has hired trained snipers to assassinate him. “ This part of the plot has two options. The first is to employ trained snipers to attack Tinubu or assassinate him out right. This plan is consistent with the warning made by former President Obasanjo in his now famous 2014 letter to President Jonathan. Those within the PDP favouring this approach argue that when Chief Bola Ige, a powerful politician, was murdered, heavens did not fall, although the former President, is a Yoruba man. “For the party that boasts it will rule Nigeria for 60 years, it has become an unexpected season of political desperation. The PDP is worried that, on March 28, they will discover that they have fallen 44 years short of their dynastic goal. By all accounts, this has caused them to consider very drastic plots and schemes. Ok U Don’t Want Anyone To Murder U But U Murdered Funsho Williams. Tinubu. since your in politic are you telling us that you heve never murder enybody? That’s the same way they are threatening Rev. Fr. Ejike Mbaka of Adoration Ministries, Enugu State. Since 31st December 2014 message, the man of God has been undergoing series of threat just because he blamed this government of insecurity, joblessness and corruption. GEJ sent him a huge amount of money through the Deputy Senate President, but Fr Mbaka turned it down. Thats why the man of God has been undergoing a serious heat. Indian Hemp don finish Bola Tinubu head be that ooooo !! Those that gives rumours n those that tell d truth, the wicked n the godly, …. everything left in d hands of God. God alone will judge d guilty. Nothing else to say… one can’t believe everything posted here. if pdp can desperately take some leaders of the opposition out of circulation during the osun and ekiti election, so as to rig; then i believe this story. But they just won’t want to try any rubbish this time around becos nigerians are more wiser. It is only God that will punish all this nigeria politicians.. Useless shameless old idiots..sickning people. Even if GEJ kills Tinubu, he can never kill HISTORY. And that’s what will judge him and his PDP partners-in-crime. Don’t forget, there’s God ooooo. thief dey fear thief .Baba Tinubu,fear not if you,ve not done anything wrong! no one will kill you. boko haram dey near you , you dey put blame on fisherman with his net .guilty conscience is very bad.